How can I a accomplish this look for a cube game object using a material? I tried messing with all the material settings, but no luck, so what's the best way to achieve this.? 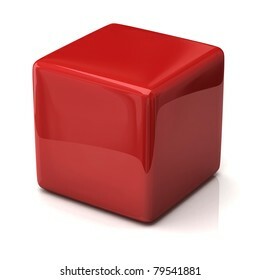 To make a rounded cube, without modeling follow this tutorial: https://catlikecoding.com/unity/tutorials/rounded-cube/ or else you make it using blender it's so easy, watch a youtube video or follow a tutorial to achieve that. to make a material look so metallic, pump up the metallic parameter in the standard shader.